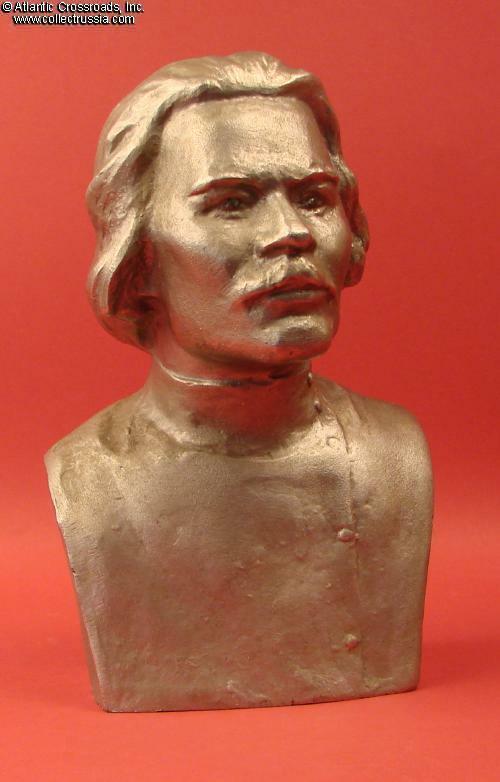 Bust of Maxim Gorky dated 1981. 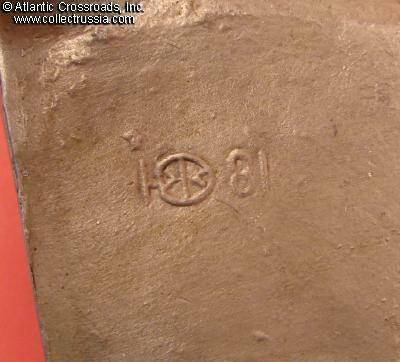 Height is 7", plinth is approx. 4" x 2 ½". In Silumin alloy. 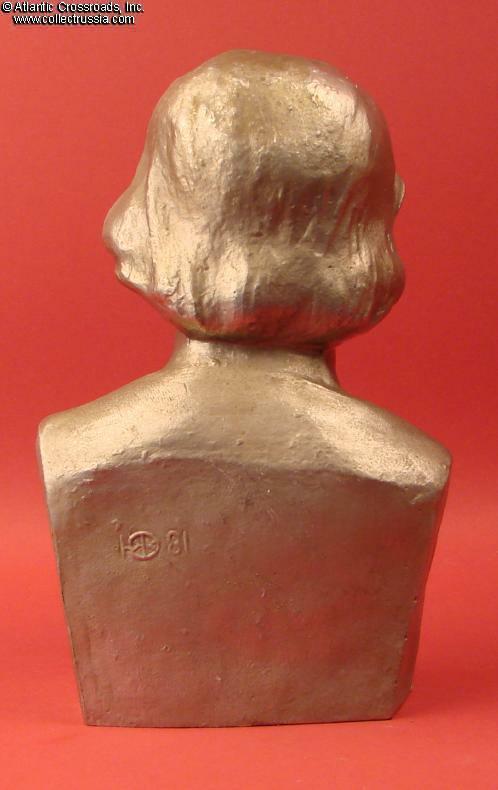 The back shows the initials of the sculptor who created the model for this bust and "81", the year of manufacture. In perfect condition. Gorky (meaning "Bitter") was the pseudonym of Alexey Maksimovich Peshkov, a famous Russian novelist considered the father of Soviet literature and the founder of Socialist Realism. After the Revolution, he preferred comfortable exile in Italy despite his leftist views, but was eventually persuaded to return by the Soviet Government. He died just a few years later under murky circumstances that made many suspect poisoning on orders from Kremlin (later his death was conveniently blamed on "enemies of the people" during the purge of NKVD in 1938).